The EcoAdapt project draws on outcomes from two rounds of regional consultation with Latin American civil society organizations (CSO) and scientists. The CSOs stated that watershed services were the most critical with respect to possible tensions and social conflicts that may arise due to climate change. Therefore, the project centres on watershed ecosystem services to develop climate adaptation strategies. Through an iterative process, it also involves several actors in science‐policy‐civil society networks interacting at multiple scales. 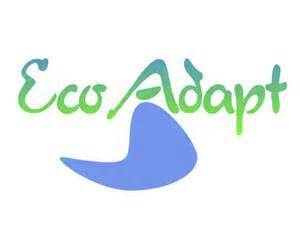 The main objective of EcoAdapt is to enhance the capacity of local communities, CSOs, policymakers and scientists to engage in inter‐disciplinary action‐research to increase their collective capacity to adapt to climate change. The project builds on two premises: 1) adaptation to climate change is not something that can be done in isolation, and 2) ecosystem‐based management is a sound basis for successful adaptation to climate change in Latin America. EcoAdapt started in January 2012 and is implemented in “model forest” landscapes located in South America, namely in the Model Forest Jujuy in Argentina, in the Chiquitano Dry Forest in Bolivia and in the Alto Malleco Forest in Chile. Knowledge sharing forms the backbone of the project and provides scientists and policy‐makers with an in‐depth insight into local knowledge and issues, which frame the research to be conducted over the next four years. Based on a common understanding, EcoAdapt seeks to assist communities in developing their ecosystem‐based adaptation strategies. This will be achieved by combining exploratory scenario analysis, participatory backcasting, agent-based modelling and social validation via hybrid forums. EcoAdapt will implement part of the adaptation strategies in pilot communities and build on existing networks for dissemination of lessons learned to other communities in Latin America and Europe. PhD Candidate at the University of Wollongong, Australia.